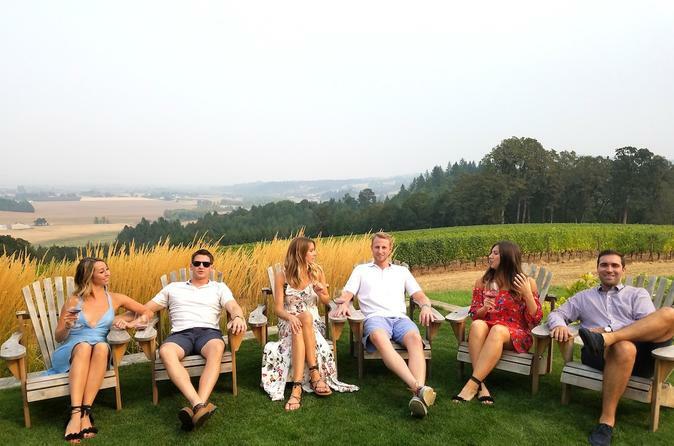 Explore Oregon's wine country known as the Willamette Valley and experience the best Pinot Noir, Pinot Gris and other varietals guided by local wine lovers who have worked along top winemakers in the region. Gain an inside perspective about the growing region, the winemaking process and the history of this valley. Expect to be pampered, entertained, and truly have a memorable trip in Oregon's Wine Country. 2 person minimum to book. Our group tours will depart at 9:30am from Portland metro and surrounding areas. We will then venture off visiting about 3-4 select wineries in Dundee Hills (we will visit Domaine Serene, Sokol Blosser Winery, Domaine Drouhin) and others in the fallowing growing regions of Mcminnville, Chehalem Mountains and and Yamhill-Carlton area between the hours of 10am and 4pm. The best stop for Lunch is downtown Dundee which boasts the famous Red Hills Market (Amazing sandwiches, wood-fired pizzas, craft beer/wine/ stumptown coffee and more). When all of your senses have been pleased, we will make our way back to Portland to return no later than 4:30pm unless prior arrangements have been made.